You know you can’t smoke the cigarette in your office or at other public places, smoking is banned at many places owing to the tobacco and smoke they produce. Well, what if I tell you that you can smoke at public places? Not really smoking, it is called vaping. The smart alternative is the e-cigarette. These devices produce vapour instead of smoke and thus you can use them almost anywhere without getting into trouble. 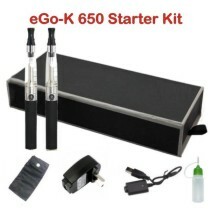 The e-cigarette is smokeless and thus a smart alternative. This innovative idea allows you to vape almost everywhere, restaurants, and offices, anywhere you like. As vaping produces no smoke, the use is legal and has no prohibitions. With an intense throat hit and great flavour, e-cigs are designed to look similar to traditional cigs and also provide the same dynamic experience; they are also available in different flavours. Try them all and chose the one you love best, the one which gives you the same experience as smoking or better. E-cigarettes are designed to look similar to cigarettes, but there are also certain models that look very fashionable. They are available in different designs, patterns and sizes and also cater to the needs of women completely. With a sleek exterior, e-cigs use modern technology and are completely reusable. E-cigarettes are considered to be a green approach and are hence recommended. They do not produce smoke or ash or carbon monoxide, hence you can feel guilt-free as you do not add to the growing pollution. And unlike traditional cigarettes, they do not even leave cig butts into the land. E-cigs are prepared in such a way that you can reuse them with proper maintenance, hence even considered a cheaper alternative. The battery used in the e-cig can be recharged and the e-liquid you use can be refilled with the same or different flavour, your choice. They are designed in such a way that they last longer, an e-cig is equal to 5-20 traditional cigarettes depending on the model you use. You can even personalize your e-cig by adding different accessories to enhance your experience. The USB charger and the O-ring kits are always a favourite. They are free of tobacco and have no fire risk associated with their usage. Suitable to our modern lifestyles, you can use e-cigs at home or even on-the-go. They are easy to handle. Their mechanism is different from traditional cigs and the way you puff is also different, but with a few tries, you will definitely become a pro. If you have smoked for many years, are addicted to your old cig and are hesitant about the e-cig, just give it a try. It won’t take you long to realise that they are better and a more advanced and smarter substitute. It might seem unusual at the start but you will soon get used to it and wouldn’t want to go back to the traditional smoking technique. E-cigs don’t need lighters; you don’t even have to gather a stock, the e-cig works for long without running out of battery. Movie starts are also opting for this smart approach.